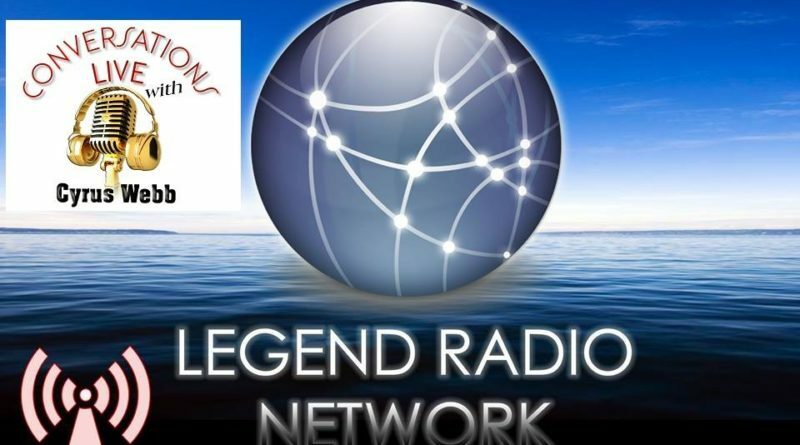 Media personality Cyrus Webb is excited to announce that Conversations LIVE radio show is now a part of the Florida-based Legend Radio Network. For 13 years Conversations LIVE has showcased movers and shakers from around the world in the Arts and Entertainment world as well as those who have a story to share. Webb has interviewed over 7,200 guests over that time, with the conversations being heard on the radio dial in Mississippi and online platforms around the globe. Listeners can tune in to a 30-minute edition of Conversations LIVE weekdays on Legend Radio Network @ 12p.m. eastern (11a.m. central/9a.m. pacific) by going to www.legendradionetwork.com. On Saturdays a special hour edition of Conversations LIVE will air on the station beginning at the same time. Those interested in being featured on Conversations LIVE can contact Webb at cawebb4@juno.com. You can also stay connected with updates on other projects with Webb at www.cyruswebb.com.